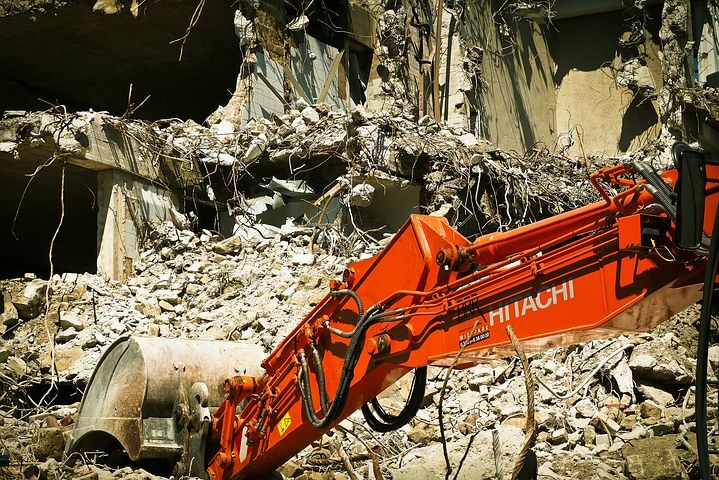 Lila Project > Blog > Blogging > What Do Sydney Demolition Contractors Really Do? In general, everyone knows these workers are paid to destroy literally anything and everything. The construction industry provides an opportunity for these workers to break things down in order to make way for the new. But what do demolition contractors in Sydney really do? Sydney demolition contractors mostly perform strip out work. This involves disassembling and removing all non-essential elements of a space so it can be transformed for future use. Strip out experts also erect temporary fencing and safety barricades around sites of demolition to ensure members of the public do not step into a hazardous space where debris may cause injury. Moreover, they spot hazards to mitigate the risk of any injuries. In addition, Sydney demolition contractors put up dustsheets and hose water on sites to reduce dust during the process, thus helping to improve air quality for all. Strip out work can be categorised under residential, commercial and office. For residential strip outs, workers perform manual labour and are paid to tear down built-in cabinets bench-tops, sinks, showers and appliances. This helps create a blank canvas for home owners to renovate or hand over to new tenants. For commercial de-fitting and deconstruction, workers play a role in fulfilling the lease agreement for a client. Commonly this is a ‘make good’ standard before handing over to the new owners, which involves the removal of redundant fixtures, installations or systems not required by the new tenant. These include taking down floors, walls, ceilings, air conditioning, glass, power, telecommunications and shop frontage. Some agreements have a mandatory list of items that must be removed. Sometimes clients are looking to revamp the office space or clear it out entirely as they are relocating. Sydney demolition workers then play a role in getting rid of anything unnecessary to the integrity of the structure. This involves tearing down office cubicles, floors, ceilings, walls, doors, light fixtures, kitchens and air conditioning. Other key activities include liaising and working with construction foremen, sight managers, architects and engineers. After everything is removed, some of the better de-fitting and deconstruction services provide waste management. This involves sorting and stacking materials for removal from site and then thoroughly cleaning the entire space for it to be ready to be transformed into something new. Strip out experts must clearly communicate and actively listen to instructions. This ensures they can meet expectations of what gets taken down or not, and prevents the client from losing money or leaving them frustrated if instructions are not adhered to. Moreover, as the role involves heavy lifting, Sydney demolition contractors require physical strength and stamina. This is because day to day tasks involve wielding tools, carrying heavy materials and operation equipment, which needs their muscles to be working continuously throughout. Also, a background in construction, design and ground labour is essential. Workers use sledgehammers to break down smaller items, jackhammers to break up concrete and brick structures and power tools such as grinders, saws and drills. For more heavy-duty work, strip out experts can use explosives, bull dozers, shovel loaders and dump trucks or become front-end machine operators to pick up and move debris. We hope this has been informative. 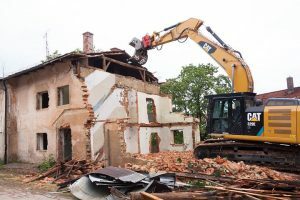 So if you are ever looking to hire Sydney demolition contractors, you know what to be looking for – a comprehensive end-to-end service, that eliminates the need of a combination of workers and is able to strip out any space. Or if you are interested in seeking a role in de-fitting and deconstruction, see this following career outline.